Above all else, James Agee was a writer-from his modest early days in Knoxville, Tennessee, where he was born in 1909, to his final heart attack in a New York taxi cab in 1955, when he was forty-five years old. His father, who came of sturdy farmer stock in the mountains of Tennessee, became a postal worker who died in an auto accident, leaving James in the care of his Anglo-Catholic, well-educated mother. He was a student at tiny nearby St. Andrew’s School, then at Exeter Academy in New Hampshire, and Harvard College, where he concentrated as editor and author of poetry published in the Harvard Advocate. Impressed by his achievement, Archibald MacLeish nominated him as an author in the Yale Series of Younger Poets and wrote the introduction. While a college student, Agee published a satire of Time Magazine that led journalism’s Emperor Henry Luce to offer him a position in New York, where he wrote articles as well as book and film reviews for fourteen years. He also wrote cinema reports for The Nation and the script for an Omnibus television series celebrating Lincoln. Taking a break, Agee joined with photographer Walker Evans to tell a long, illustrated story of the plight of three sharecropper families, published as Let Us Now Praise Famous Men. Personal problems plagued Agee: endless smoking of cigarettes, plus an insatiable thirst for liquor and love, which damaged two of his three marriages and his children. His first heart attack came when he was strenuously countering John Huston in a hopeless tennis contest. 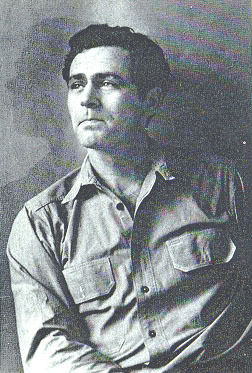 Agee was then writing the script Houston requested for his movie, The African Queen. To be, that shall preserve this race. Next are lines not included in The Collected Poems edited by his Harvard friend, Robert Fitzgerald. They are a variant of lyrics Agee composed for Lillian Hellman’s Candide. Frankly, I think poorly of. Flesh and Figment, Brain and Breath. All are parodies of Death. Who but Death can sing to you? Death my dearest, sparse and pure. Stupefied, and buy their story.